The ProgRama Blog | Official Blog of ProgRama Inc.
ProgRama, Inc. of Boca Raton, Florida is one of the largest remanufacturer of European automotive electronics in the US. Since 1992 the company has been continuously extending its product line and today the number of offered units exceeds 400 different modules. During the past 2 decades ProgRama has met and successfully tackled numerous challenges related to the remanufacturing industry. The knowledge base itself is just the cornerstone of the remanufacturing process. The next challenge is to be able to fully test ECMs on the bench without the rest of the car. 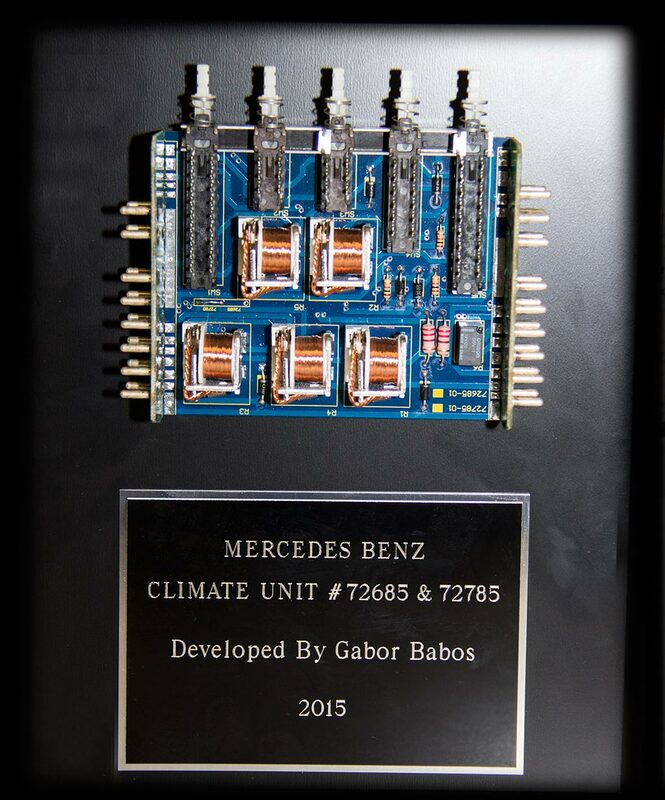 This can be achieved by using specially combined analog-digital and CAN (Controller Area Network – a two wire communication that connects most of the control units in the car) testers that can simulate the exact environment the ECM would normally operate in. These testers are custom built and continuously being calibrated as the whole process depends on the results they provide. A good example can be seen on the picture above that shows an instrument cluster being tested by a proprietary CAN base tester. The word ‘Remanufactured’ implies that the remanufacturing process’ raw material is the OEM product itself. Because of this fact, the remanufactured products can comply or in most cases exceed products such as Climate Control, ABS, PSE Pumps, Relays, Instrument Clusters, Throttle Actuators and Engine Computers require that the core (the original used or defective component) has to be reliable that are pertaining to each product that would make it acceptable for remanufacturing. Today the biggest challenge is to locate quality rebuildable cores on the market. These could come from individuals, salvage yards, core suppliers or as core returns from existing customers. Dealing with cores usually requires the company to build and maintain a so called core bank. This proves to be crucial in times when there is a core shortage. Customers are being encouraged to always send in their cores and they are being compensated by core refunds. This incentive is appreciated by the customers as well as the favorable price of the remanufactured units. It is interesting to note that today the core return rate is at 85%, while 10 years ago it was at 90%. After the original factory warranty expires and the repairs are not covered by the dealers anymore, customers should consider buying remanufactured products. Unfortunately dealerships because of their strict policy and existing contracts don’t offer rebuild or remanufactured products to their customers, they have been allowed to sell only brand new ones. Only those who go to independent shops can enjoy the above mentioned ABS or climate control module. If the component is programmed to the car such as Instrument Clusters or Engine Control Modules the best choice is to send the defective part for repair directly to the remanufacturing company. Since it (VIN, mileage other parameters), when it is received back then no further programming or coding is needed. This could easily save an additional $200+ for the customers. It is well known that even the most careful diagnostic session can mislead the technician to an incorrect part and initiate a wrong unit to be exchanged or returned. From the independent shop’s point of view another advantage is that in general the new OEM electronic products are not returnable to the wholesale distributors but the remanufactured ones are. To further ensure the quality of the remanufactured products, a standard practice is that the commonly failing electronic components would be proactively replaced. This prevents future failures and thus even original micro processor software problems could be corrected by add-on circuits. All remanufactured units go through a detailed and thorough they are ready to be called ‘Remanufactured’ and sent back to the customers. The quality of the remanufactured products can be measured by the length of the warranty term remanufacturing process and offers an exceptional 3 years warranty on most of its products. Last, but not least the final challenge that we all have to face with, is to protect our environment. At the heart of the remanufacturing process lies the opportunity to ‘recycle’ a component instead of throwing it out. By rebuilding and reusing more and more components we all can do our part to minimize the impact of the automotive industry on the environment. If you have product related questions, suggestions or requests then please make the process better by contacting ProgRama Inc. at 1-855-734-2670 or visit us at ProgRamainc.com.